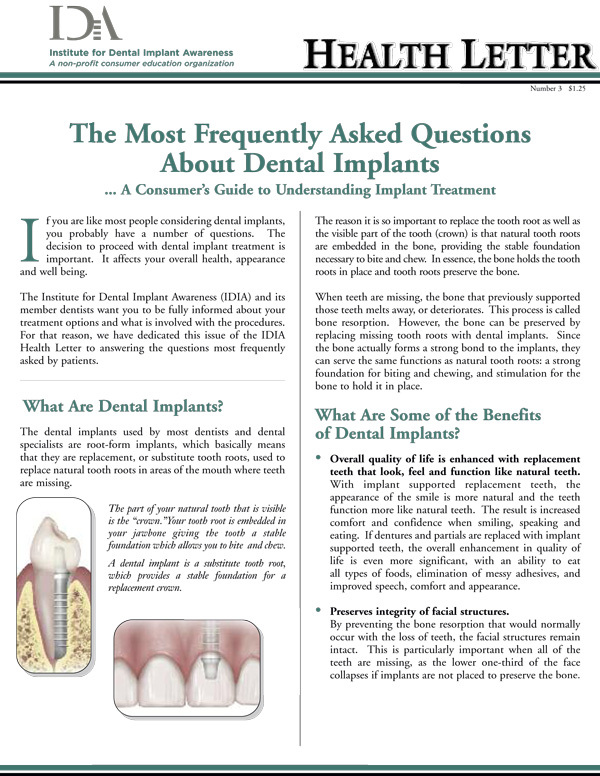 Even with the volumes of information now available about dental implants, there are still some basic questions that patients ask on a regular basis. The IDIA dedicated a complete issue of the Health Letter to Frequently Asked Questions several years ago. It is still the most popular IDIA publication. Download the IDIA FAQ Health Letter.